Albania’s Socialist Party looked set to win Sunday’s parliamentary vote, an exit poll showed, which would give the ruling party a mandate to push judicial reforms vital for membership of the European Union. 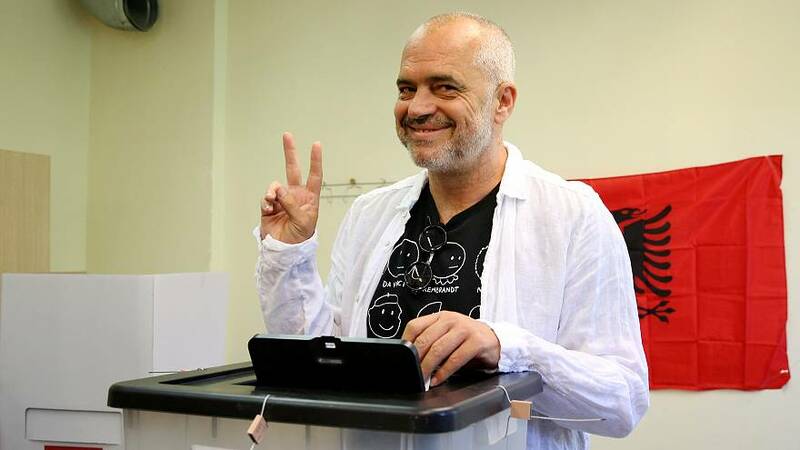 Both the Socialists of Prime Minister Edi Rama and the rival Democratic Party led by Lulzim Basha are seeking a majority as neither party won the 70 seats needed for a majority in the 2013 or 2009 election. The exit poll by Italy’s IPR Marketing, with a margin of error of two percent, showed the Socialists are set to win between 45 and 49 percent of the vote, which could secure them more than half of the seats in parliament. “The Socialist Party might have won more than 71 seats (in the 140-seat parliament), but this is still an opinion not a certainty,” IPR Marketing’s Antonio Noto said. But what reforms will the ruling party need in order to seal EU membership. There are many unresolved cases of land and property ownership in the Balkan state. Rama himself acknowledged that the issue has been “a mess for years” and is getting out of control. Forgery of title deeds was rampant after the end of the communist era. The socialist government has set up a 500 million-euro compensation fund as a way of tackling the issue. Albania has failed to crack down on the cultivation of cannabis, which is linked to organised crime. When it comes to cannabis resin entering the EU, Morocco leads the way. But Albania is the leading supplier of herbal cannabis trafficked to the 28-nation bloc, according to Europol. And Rama has done little to tackle the issue, despite promising to “eradicate the phenomenon once and for all”. According to Instat Albania the gross monthly wage in 2016 was just under 46,000 Lek, around 340 euros. If you compare this with Croatia (1060 euros), Greece (1070 euros) and Italy (2033 euros) you can understand why the young are leaving the country in droves.